Creating a sales funnel is one of the most important things you can do to increase the enrollment rate for your Montessori school. However, as an educator, you may not know much about marketing, especially online marketing. You know what it takes to help develop and strengthen young minds, but you’re not sure where to start when it comes to marketing your school to prospective families. You can start with this post. Let’s discuss why you need a sales funnel and how to use one to increase your enrollment numbers. Here’s a list of questions to ask when making a sales funnel. First things first, let’s define the term ‘sales funnel.’ In school marketing, a sales funnel is a system of generating interest with prospective families and then converting those prospective families into enrolled families. To be effective, a sales funnel should be well-planned and automated. The less hands involved, the smoother the process will be. Because most of your sales funnel will be automated, it’s crucial that you understand each step of the funnel. This way, you can set up your sales funnel so that the prospective family is guided from one step to the next. Ideally, a prospective family does not get stuck at any one step of the sales funnel for too long. At each step of the way, they acquire what they need to make the next step in the journey. The top of the funnel is awareness. The top of the funnel is where you make the initial contact with the prospective family. The next step in the funnel is interest. Now aware of your school, the prospective family expresses interest. They want to learn more about your school and the Montessori Method. The third step is evaluation. The prospective family has learned about your school and the Montessori Method. Now, they need to evaluate whether or not your school is the right choice for their family. This may include school location, tuition and deciding whether or not they agree with the Montessori philosophy. You can aid them in this step by inviting them on a tour and meeting face-to-face. The fourth step is decision. Now that the prospective family has evaluated your school, they’ll need to decide whether to enroll. The final step is enrollment. The prospective family is excited and ready to join your school. This step is all about completing the formalities, registering the new student(s) and welcoming the family to your Montessori school. You may notice that the funnel is larger at the top and smaller at the bottom. In sales, you cast a wide net, but you’ll likely only end up with a few families that make it all the way to the final step. Now, let’s take a closer look at the various stages of the funnel, and what you should do to woo prospective families to your school. Before we look at each stage in the funnel, let’s discuss how to attract people to your funnel in the first place. You set up a marketing campaign where you inform the community at large about your school. Even in a small town, the community is bigger than you think. There are bound to people that have never heard of your school. It’s also possible that there are people in your community who’ve seen or heard of your school, but haven’t connected the dots. They may not realize that you’re accepting students, or that your school is affordable or that their thinking aligns with the Montessori Method. You can use offline marketing efforts to reach out to prospective families. One of the most common and effective ways to do this is through direct mail. You send a postcard about your school to pique interest in those in the neighborhood. You can also rent billboards, buy radio spots and post on community boards in local stores. If you have the manpower, it may be worth the effort to go door to door, meeting with families and introducing them to your school. Online, Internet marketing can be separated into organic and paid strategies. First, we’ll focus on the organic method. No doubt, you’ve heard of SEO. SEO focuses on creating a website that’s optimized for search engine traffic. You do several on-site tasks, such as writing content that’s focused on a set of keywords, to improve your search engine ranking. SEO is very content-marketing focused. You’ll spend the majority of your time writing blog posts, articles, white papers, and creating educational videos and infographics. While SEO is important, it’s not always effective for Montessori schools. One reason is that SEO is a long-term strategy that may not produce results until months (or sometimes even years) later. You need to increase your enrollment numbers now, not later. Another drawback to depending on SEO for attracting prospective families is this: SEO depends on the idea that someone’s looking up a keyword in the search engines. But what if no one is looking for Montessori schools in your local area? How will you get people into your sales funnel then? The answer is paid online marketing. Because SEO doesn’t always work for Montessori schools, the best way to attract prospective families is to pay for promotion. My favorite marketing strategy for Montessori schools is Facebook. 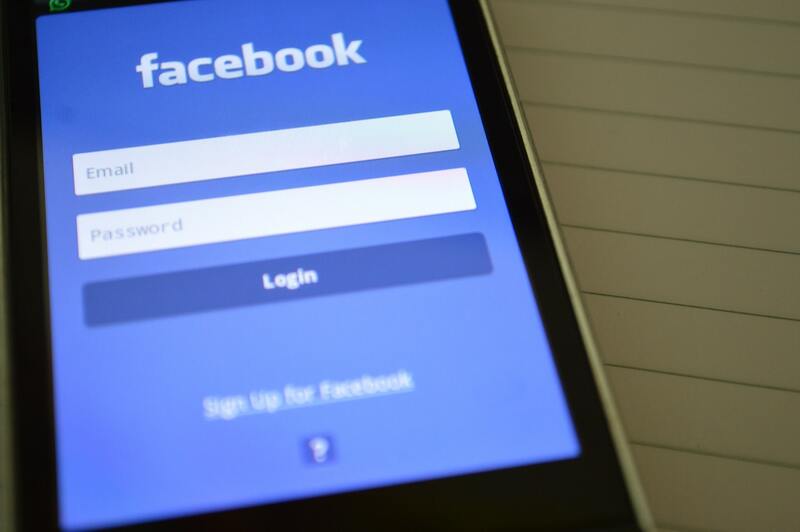 You may be thinking, Isn’t Facebook for social media? It sure is, but Facebook is also a powerful marketing platform that allows you to target your reach to find those most likely to enroll. You can target people based on their age, location, likes and similarity to your best enrolled families. You can even target people who’ve recently visited your website. It’s remarkable how specific you can get with your audience targeting through Facebook. Notice that referral marketing is not on this list. While it’s guaranteed that some of your enrolled families will refer others to you, you can’t depend on this as a reliable source for lead generation. It’s important to encourage referrals, and reward those who do refer, but don’t make it the lynchpin of your marketing strategy because you can’t control the process. With Facebook marketing, you’re in complete control over who sees your ads and what messages they receive. You can correctly guide them down the funnel in the way that will provide the best results. 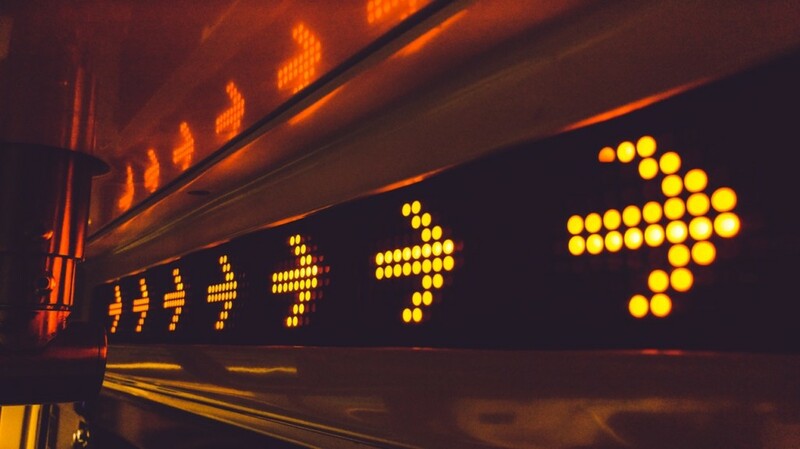 No matter which of the above methods you choose (and you can choose any or all of them), once you get them in the funnel, what should you do next? The top of the funnel is all about awareness and building their level of interest in your school. Attracting them with a flashy ad is one thing, but the top of the funnel is also the stage where you introduce your school as an option. You may also decide to introduce prospective families to the Montessori Method. Present the problem and then quickly explain how you provide the solution to their problem. Share information that helps the prospective families decide to take a closer look at your school. During this stage of the funnel, you may send parents to an optimized landing page on your website that invites them to learn more. They’ll enter their information in an inquiry form, indicating that they’re interested in your school. After the prospective family submits an inquiry form, your administrative staff will receive a notification and our software will automatically create a family record. Admission tracking begins. What Happens in the Middle of the Funnel? The middle of the funnel is focused on evaluation and decision. Once you know that the prospective family is interested, you can send out a sequence of emails (automatically). The immediate goal is to schedule a tour. Your informational emails will further introduce your school and build a stronger case for the Montessori Method. You may also include social proof (i.e. testimonials and case studies) in these emails. Every email in this stage should include a strong call to action that informs the reader of what to do next. The next step is taking a tour of your school. After the family has scheduled a tour, your administrative staff is automatically notified and can prepare for the face to face meeting. What’s the Bottom of the Funnel? The bottom of the funnel is the ultimate end goal for every prospective family. During this stage, the family is ready to sign on the dotted line and enroll in your school. Hooray! 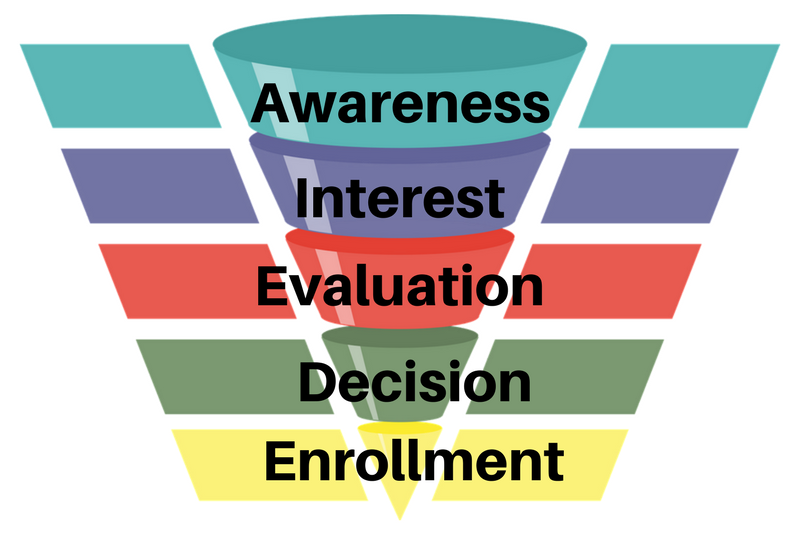 But before the enrollment stage, the bottom of the funnel focuses on making an informed decision. You’ll start off this stage immediately following the tour. After a successful tour, you can send an application form through Hubbli with just one click. The prospective parent receives the application form notification via email and fills it out on your website. Then, once received, the administrator sends an approval letter with one click. Easy. When you’re doing it on your own, sales funnels can seem hopelessly complicated. But, we’re here to help. Let’s discuss how we can help you automate your sales funnel and grow your enrollment numbers. Don’t forget to download this list of questions to ask when developing your sales funnel. Here are several questions you should ask before setting up your sales funnel. Subscribe to receive this extra resource.